Every day, more than 5,000 people develop tuberculosis; nearly three lakh children drop out of school owing to the disease and more than one lakh women are rejected by families in India. A middle-aged patient with a history of cough with blood-tinged sputum for three weeks duration consults a doctor. The physician puts forth a routine query whether anyone in his family suffers/suffered from tuberculosis? Annoyed, the patient responds: no one in our kindred has ever heard of the disease. The question irked him more than the ailment. Unfortunately, this happens to be the attitude of a majority of our population. The stigma associated with tuberculosis is more horrid than its pathology. It’s felt as an affront to one’s reputation and underestimation of one’s social status. Those who believe that tuberculosis is a disease exclusively of the underprivileged read further. Lady Roosevelt, Mohammed Ali Jinnah, Ramanujan, Kamala Nehru, Laennec (inventor of the stethoscope), John Keats, Shelley and a long list of other famous personalities were all victims of this lethal disease. It is caused by a bacteria known as Mycobacterium tuberculosis, which spreads by droplets sprayed by coughing from infected persons. It can infect anybody and remains dormant for years in the human body, only to rear its ugly head when the individual’s immunity wanes. Besides producing cough and sputum (often blood-tinged), tuberculosis throws up a volley of symptoms including fever at dusk, chest pain, night sweats, loss of appetite and drastic weight loss, which if left untreated, will reduce the patient to a bag of bones before settling him in his grave. Tuberculosis may affect any organ, but it fraternises the lungs commonly, where the bacteria multiplies, destroys and devastates the lung tissues which are thrown open into the environment along with sputum burgeoning with the bacterial population. Examining the sputum under a microscope will reveal the bacteria and confirm the diagnosis. Anyone who confronts the aerosolised stuff are likely to acquire the infection. Hence, it becomes mandatory to strictly instruct all patients with tuberculosis to close their mouths with handkerchiefs while coughing and sneezing. Individuals with diabetes and HIV, alcoholics, smokers, those under physical and mental stress, those who are malnourished and individuals taking long term steroid medications are all prone to tuberculosis. Unfortunately, India shares one-fifth of the global burden of tuberculosis. Every day more than 5,000 people develop tuberculosis; nearly three lakh children drop out of school owing to the disease and more than one lakh women are rejected by families in the country. Above all, over 3.5 lakh people die annually i.e., 1,000 people every day, and one death every 1.5 minutes due to tuberculosis. Recall the 2004 tsunami that struck the west coast of India, taking a toll of nearly 18,000 people. This is roughly 1/20th of what we lose to tuberculosis ever year. The government of India has evolved an excellent programme, Revised National Tuberculosis Control Programme (RNTCP) in vogue since 1997. Under RNTCP, everything from diagnosis to treatment is rendered free of cost to every patient. The patient is the hero of the programme and the responsibility of cure lies with the health care providers. The treatment is directly observed; drugs have to be taken just three days a week for six months. The present day treatment strategy adopted internationally is the result of a number of scientific and public health discoveries at the Tuberculosis Research centre, Chennai (TRC), and the National Tuberculosis Institute, Bangalore (NTI). Let’s join hands and vow not to fall back in battling the scourge. The slogan for world TB day 2013 is “Stop TB in My Lifetime”. Indian Development Foundation (IDF) conducted Health Awareness Program (HAP) & TB awareness at St. Patricks School, Brigade road, Bangalore & at Industrial training centre. The Programme was conducted by Mr. Raghavendra Ramakrishnan & Mr. Arulraj. Approximately 125 students attended the Audio-Visual (AV) programme. The session was very interactive as many students asked several queries and doubts about the prog. and also presented their view about the same. Principal supported well by guiding students about the seriousness of the awareness programme and asked students to disseminate the awareness. IDF appreciates the continued support of St. Patricks School. Health & T.B. awareness Programme, Bangalore. Indian development Foundation (IDF) conducted healt Awareness Programme (HAP) & TB Awareness. The Programme was conducted by Mr. Raghavendra Ramakrishnan & Mr.Arulraj. The programme was conducted in association with Karnataka state tuberculosis association (KSTBA) & GOOD NEIGHBOURS. 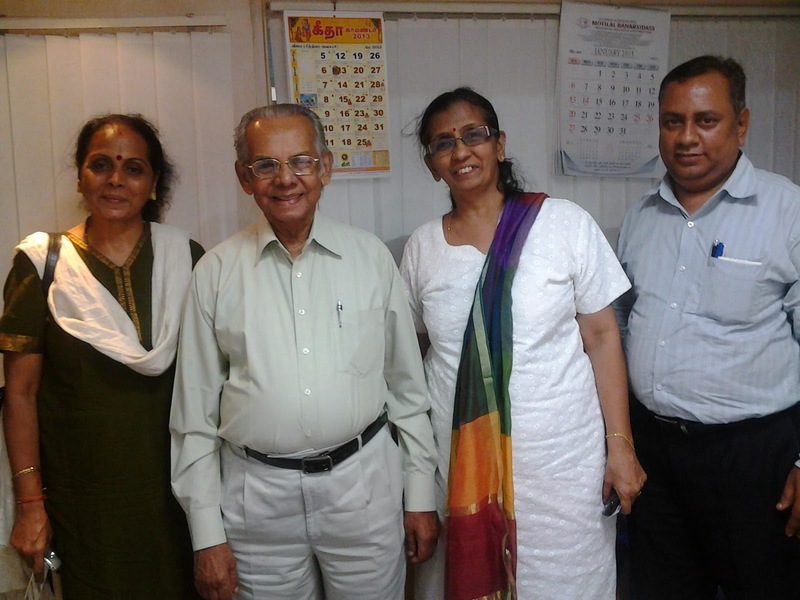 Mr.Shenoy & Mrs.Jayamma assisted in the session for the construction workers of Puruvankara site at Hedge Nagar. 70 people attended the session. IDF Social Ambassadors in Chennai @ Giri trading agency Ltd.
IDF Social Ambassadors in Chennai - Mrs. Lalitha Rajgopal and Mrs. Sharada Prakash came forward to extend support for various social projects of IDF viz., Bal Gurukuls, Women Empowerment, Health Awareness and Mission W2K (waste to knowledge). The meet was held at Giri Trading Office at Mylapore Chennai. 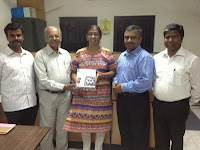 Mrs. Sharada Prakash, Director of Giri Trading Agency Ltd., visited Indian Development Foundation,IDF office at Chennai and received IDF Donation Boxes to be installed in Giri Stores. Every support is important for humanitarian causes. Dr. A.R.K. Pillai, Dr. Narayan Iyer and Mr. S. Sreeram welcomed the social ambassadors and appreciated their social support. Our sincere thanks to Madam SharadaJi !!! Please accept our greetings and good wishes ! We write this with confidence that your goodself will extend your patronage to the Foundation’s national programme and support us generously. INDIAN DEVELOPMENT FOUNDATION (IDF) (formerly Indian Leprosy Foundation) is a leading national NGO committed to Health, Education and Development. We have an excellent track record of three decades of humanitarian service. Besides leprosy rehabilitation activities, IDF is working inthe field of TB, HIV-AIDS, Cancer and Blindness. In addition to networking with over 100 leprosy/ TB projects in India, IDF has also established 117 Bal Gurukuls and empowerment classes across India providing free education the underprivileged children. 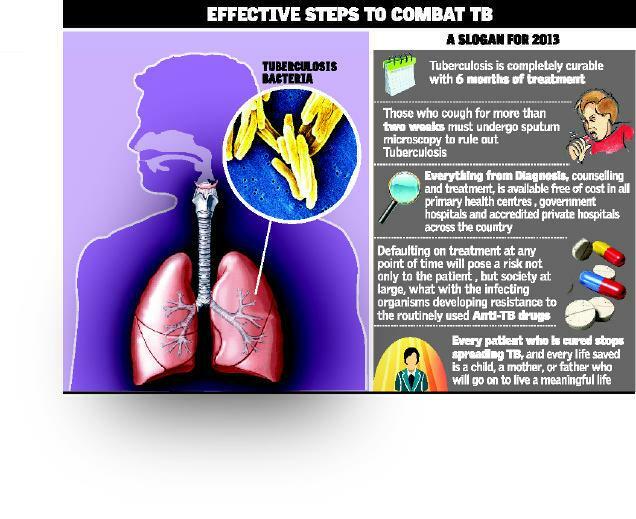 IDF is a Partner of the StopTB Partnership of WHO and Partnership for TB Care and Control in India, creating massive awareness on TB control programmes. IDF has the Special Consultative Status with Economic and Social Council. IDF is a self-reliant NGO. IDF Bal Gurukuls are after-school programmes for children who are first time school-goers/ children who cannot afford to go to tuition classes, where parents are not qualified to educate their wards. IDF runs Bal Gurukuls in urban slums/ rural areas/ villages/ special homes/ poor schools in India. Mission W2K (Waste to Knowledge) is designed to mobilize old Newspapers/ Books and support children studying in IDF Bal Gurukuls spread across India. Your generous support will also help in establishing new Bal Gurukuls in poor localities/ villages in India. Presently we have 117 Bal Gurukuls (6000+students) spread across India and we have plans to establish 500 Bal Gurukuls by 2015. Mission W2K will help in making IDF Bal Gurukuls a self-sustaining project and support health projects like leprosy/TB and also women empowerment programmes. Old Newspapers/ Books donated by your goodself will be sold and the amount will be utilized for educating children studying in IDF Bal Gurukuls. Make your Family a proud Social Partner with a leading national NGO like IDF and participate in social responsibility initiatives. The first weekend of every month may be called as `Joy of Giving Month’. IDF Volunteers/ Social Ambassadors will visit your home and collect the old newspapers/ books. The old newspapers/ books will be sold and money utilized for IDF Bal Gurukuls. Good books will be utilized for establishing libraries in various schools in India. In case you are able to sell the old newspapers/ books at your end, kindly do it and remit the amount in Indian Development Foundation’s Bank Account held with Indian Overseas Bank, Goregaon West, Mumbai, Savings Bank 207001000083586, IFSC - IOBA0002070. Do send us a mail confirming the deposit of your contribution. Every small contribution is BIG to us. A donation receipt for your contribution on sale of old newspapers/ books OR on receipt of the donation will be issued to you on monthly basis. Donations to IDF are exempted under section 80-Gof IT Act. You will be issued an annual `Appreciation Certificate’ for your excellent social responsibility. Your contribution will help several thousands of children across India to get educated and empowered. Spread the goodness message among your friends/ contacts and support the social project. Become IDF Social Ambassador/ Volunteer in your area and help the noble cause. 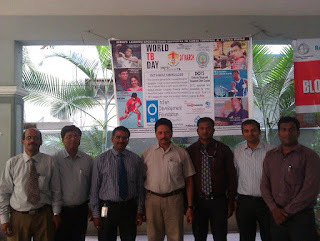 IDF, MNJ Cancer Hospital Blood Bank & Sanzyme Ltd. organizes Blood Donation Camp. 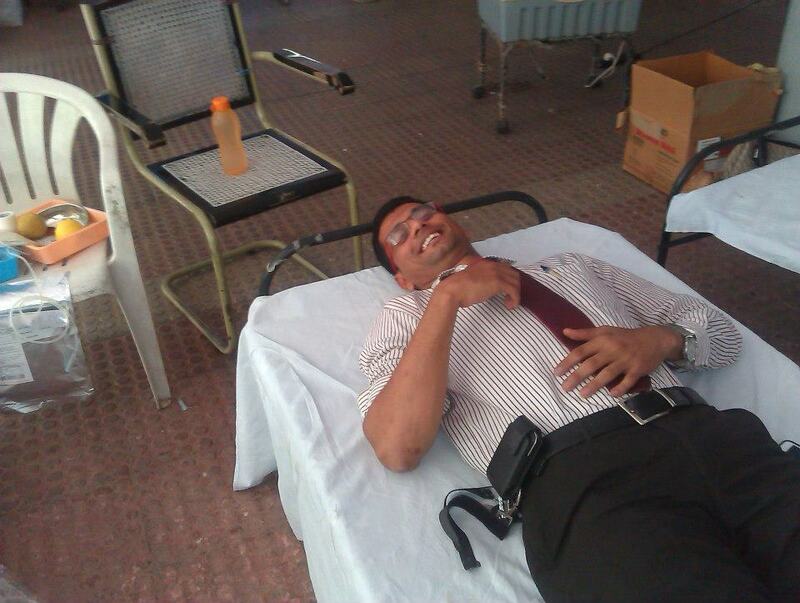 Blood Donation Camp in Sanzyme Ltd, Hyderabad - Indian Development Foundation IDF in association with MNJ Cancer hospital blood bank , Hyderabad organized a blood donation camp in Sanzyme Ltd , Hyderabad. Almost all the employees donated blood. This blood will be used in MNJ Cancer hospital and would be given FREE OF COST to patients unlike in other blood banks where patients have to purchase blood. This would benefit lot of poor patients. IDF thanks all the employees of Sanzyme Ltd who came forward on our appeal for this noble cause. IDF thanks Mr. Kvs Prasad CEO , Mr.MM Sarma AGM and Mr.VV Somayajulu HR for accepting our request and motivating people to come forward in this noble cause. IDF also would like to thank Mr.H.Joshi DGM, Mr,Srinivas , Mr.Samudrala Madhukar, Mr.NVKN Sarma for motivating their team to participate in this camp. IDF thanks Mrs.Geeta, Mrs.Jyothi and Mr.Kanaka Rao and all support staff for coordinating the entire program and making excellent arrangements. Special thanks to Dr.Nikhil for taking time out and helping MNJ team. Health awareness at Bharatiya Vidya Bhavan's Vidyashram, Pratap Nagar, Jaipur (02-05-2013). Dr. ARK Pillai and Dr. Narayan Iyer from Indian Development Foundation addressed the students of Vidyashram and expressed gratitude for their benevolent support extended for humanitarian causes. Tagore International School released 11th annual edition of the prestigious magazine `Srijan' at Deepsmriti Auditorium on 1st May 2013. This special magazine is dedicated to `girl child education'. Shri P. S. Verma, Chairman, Rajasthan Board of Secondary Education was the Chief Guest. Other Guests included Prof. P. C. Vyas, Dr. ARK Pillai and Shri P. C. Sharma. Shri P. D. Singh, Chairman, Tagore Group of Institutions and Mrs. Kamal Rathore, Principal, TIS honoured top performing students of Indian Development Foundation- Deepak Bal Gurukul and honoured workers on the occasion of labour day. For more photos click link.